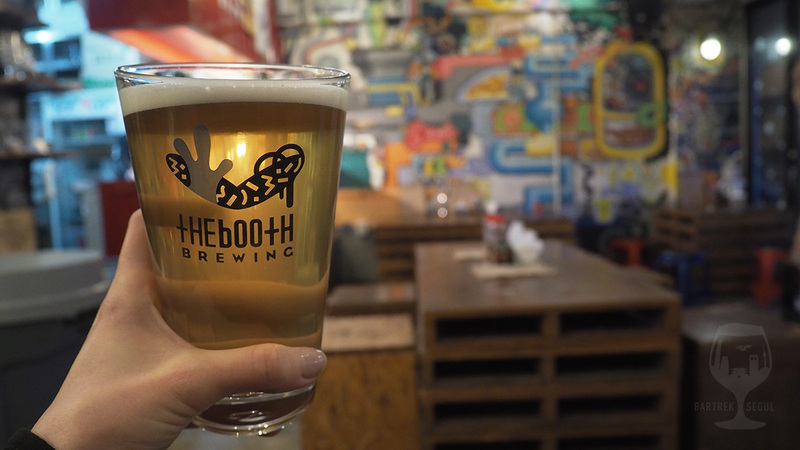 Another classic in the hotpot of Noksapyong, The Booth is a bastion on the Korean craft beer scene. 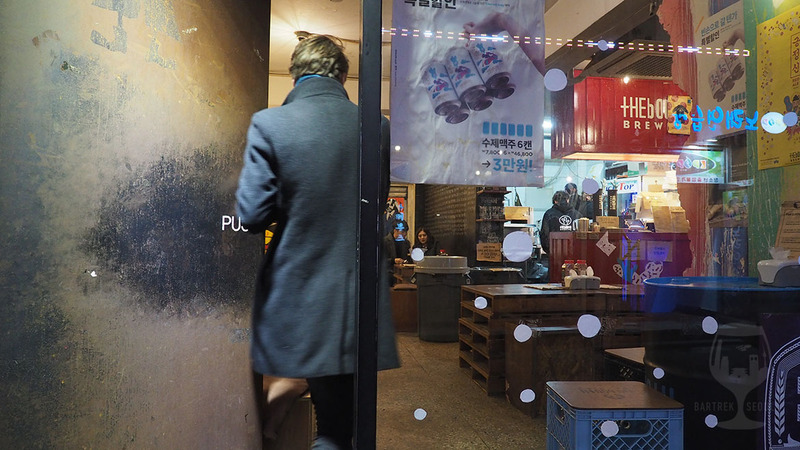 Don’t be fooled by their fashionably ghetto interior, these guys are one of the biggest players in the market and have venues all over Seoul. Paired with Monster Pizza, another Seoul classic, this is something most people here will learn to love. 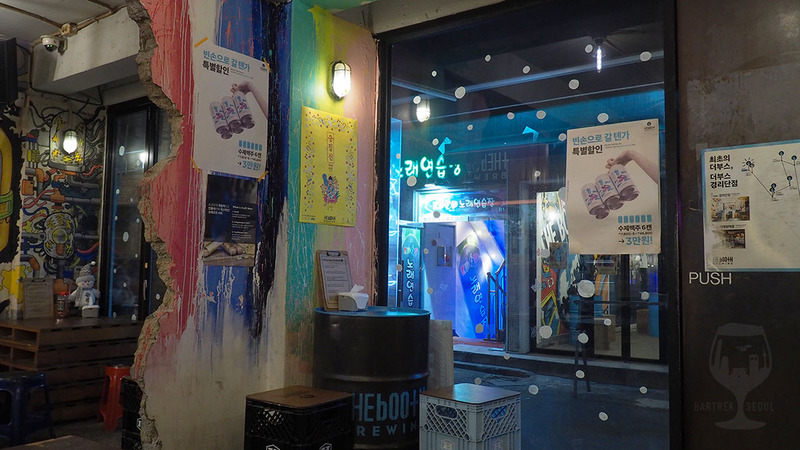 This is the home of Daedonggang, a Belgium-brewed Korean-Danish collaboration (Mikkeller), a wildly available beer in Korea. Also worth mentioning are Kiuk and Kukmin, two surprisingly tasty IPAs. 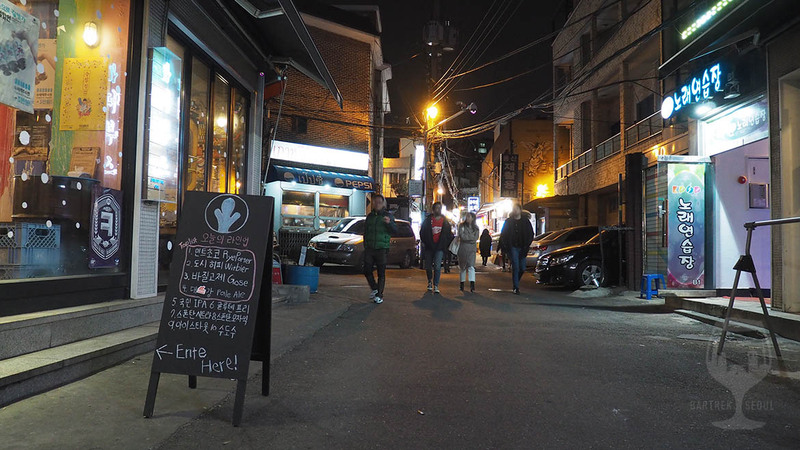 The booths sign on Kyungridan-gil street in Noksapyeong. 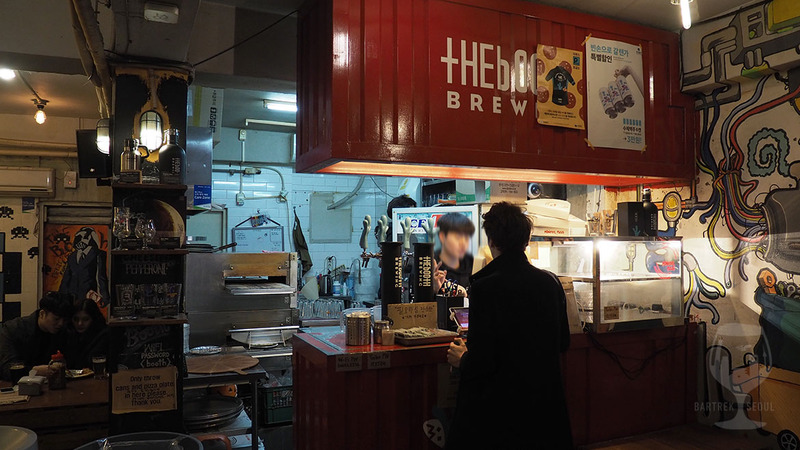 Right there with Woori Super and Magpie, The Booth is part of the craft beer core of Noksapyeong. 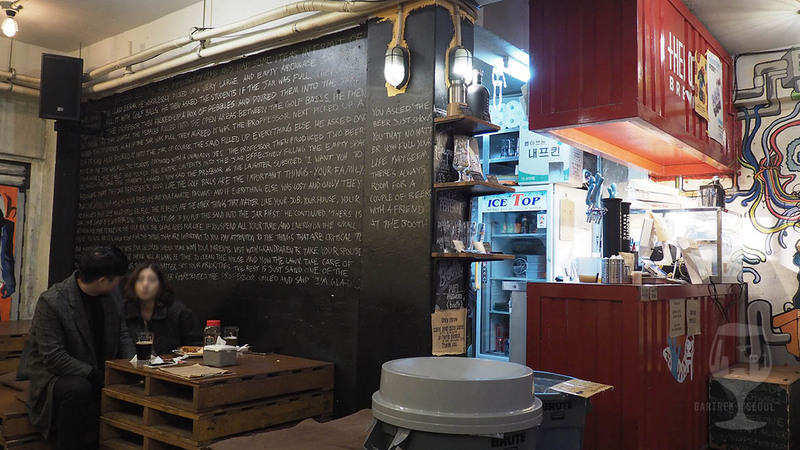 Decorated with pallets and barrels, graffiti wall-art and tasteful music, this is one of the hippest venues in Seoul. The seats are uncomfortable, but fit the place well. The music is not your typical pop songs, but rather urban beats, old soul and some funky synth. In fact, the only things missing to complete the set for an 80s sitcom is a boombox and a bonfire. Kung Fury, anyone? It is not as crowded as it used to, but judging from the additional seating across the street it should get packed on weekends. 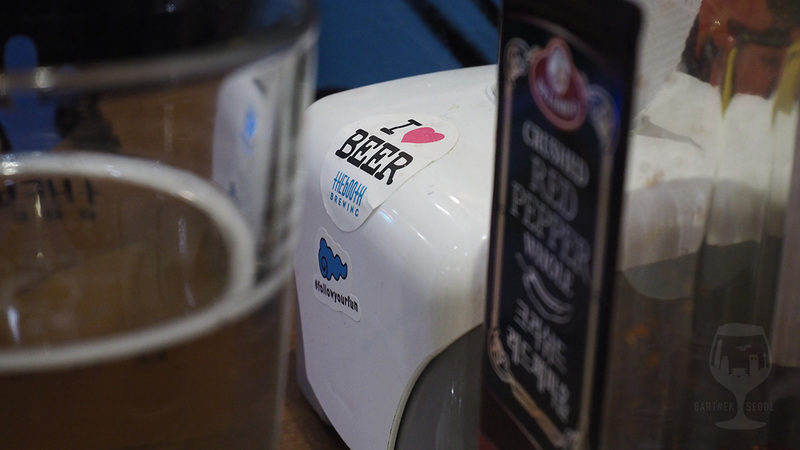 The Booth is a steady provider for your weekend cravings, and with free cheese, ketchup and chili flakes to top up the already intense Monster Pizza slices you can get the flavor explosion you are looking for. 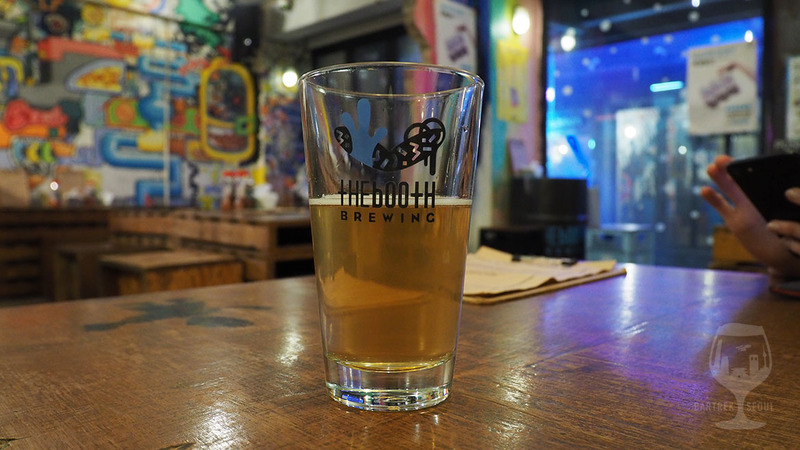 The selection of beer varies from venue to venue, but you can expect to find the standard Booth beers as well as a few interesting choices. Entrance is a massive metal door. You should order at the counter. The current tap list. 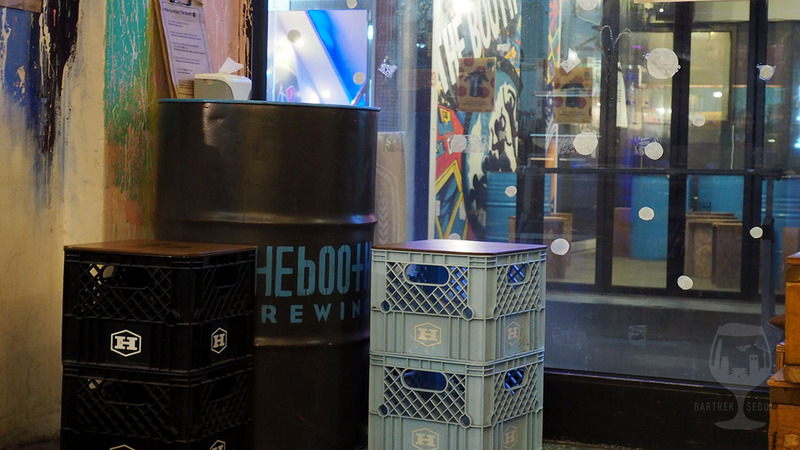 Most of their cans and bottles you can get from marts and convenience stores, so it’s better have the fresh stuff on tap in the bar. We just had to try their Basil Gose, which was unexpected to say the least. Not as bitter as you might expect, but balanced and tasteful. 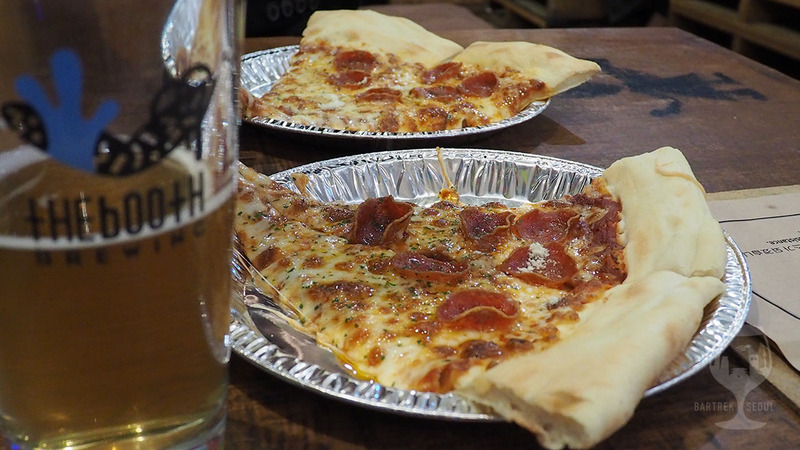 The basil flavor is prominent, but not overbearing and overall surprisingly good. The flavor is unique, and we would definitely recommending sharing the pint sized pour with a friend or two. 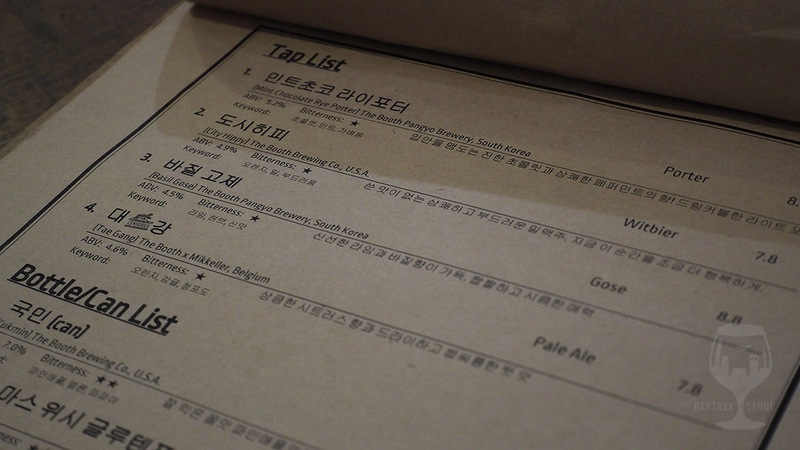 On the menu are also several bottles and cans with both Korean and import beer. Not your most standard choices, but it is worth noting that the same cans will sometimes be available to purchase in other marts and stores, so you might want to prioritize the fresh draft beer. That being said, you can normally find several good choices in this list. 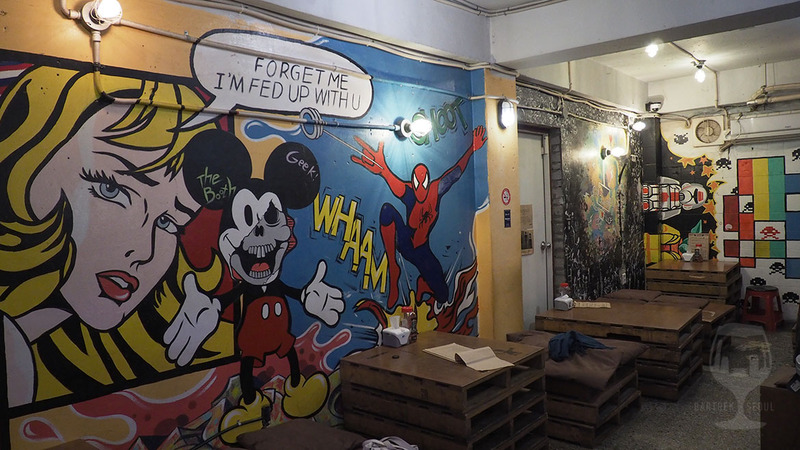 Painted walls with cartoony themes. We wanted to try something new picked up their Basil Gose which we hadn’t seen before on their menu. A very herby refreshing experience. Strong flavor, so good for sharing or for a tasting session. They serve monster pizza. It’s a better deal having the whole pizza than separate slices if you are 3 or more. Or just two people up for a big dinner. 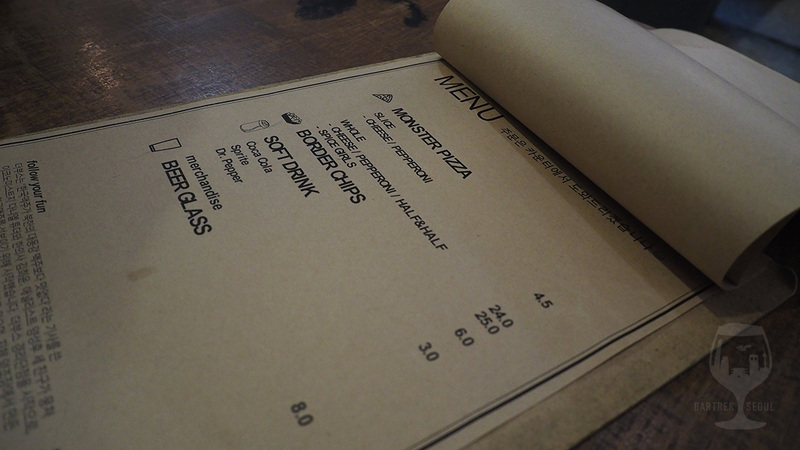 The tables and seating are made of pallets. The pub space actually continues on the other side of the street. One of the tables is a barrel with plastic containers as seating.